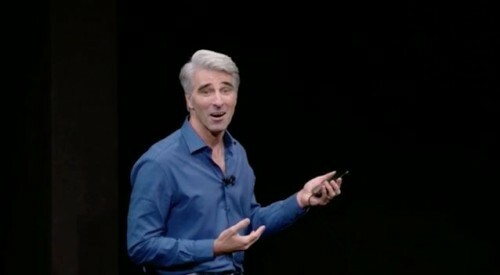 People were handling the device for stage demo ahead of time, and didn’t realize Face ID was trying to authenticate their face. After failing a number of times, because they weren’t Craig, the iPhone did what it was designed to do, which was to require his passcode. In other words, Face ID worked as it was designed to. This error is similar to the one we can see when Touch ID cannot recognize a fingerprint: when it times out, it requires a passcode to unlock the device. This means that repeated glances trying to unlock the iPhone will disable Face ID and ask for the passcode to enable it again. If you see this error in future on your iPhone X, it is a sign that somebody was trying to get into it while you were not looking.